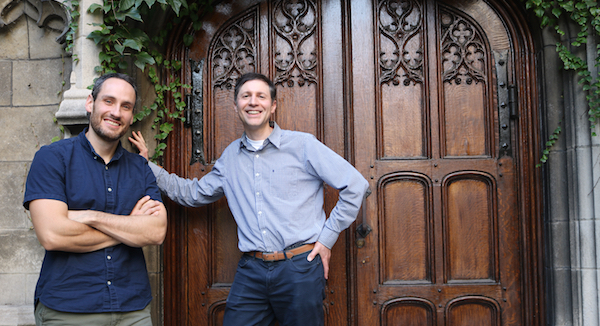 David Mazziotti and John Anderson, along with Sabre Kais of Purdue University, have received a $2.5 million grant from the Department of Energy as part of an initiative to advance Quantum Information Science for their project, “Quantum Computing Algorithms and Applications for Coherent and Strongly Correlated Chemical Systems." While classical computers encode information in a binary system, quantum computers allow for more complicated encodings that can be used to perform certain calculations more rapidly. Mazziotti, whose group has pioneered models to understand and predict molecular structure and processes, and Anderson, whose lab specializes in the synthesis of complex inorganic molecules with unusual properties, will develop strategies for predicting and understanding bonding and reactivity by using the power of the quantum computer.